The layout for the site includes a number of pages that are specifically for new visitors. In addition to this we created landing pages for new visitors searching on Google, so that they would be brought to the site and channeled towards the ultimate goal, to make a booking. Every website has a goal, whether it is to sell a product or to generate leads. In every case we focus on this goal and lad site visitors towards fulfilling that goal. We also have clear indicators for current residents of the East and West parks so that they can find out information that is directly related to them. In addition to this all menus are colour coded and clearly labelled so that the user knows their location within the site at all times. All of this work was conducted with the knowledge that a previous site existed, and that despite its appearance, that site had made some ground in terms of getting found on the search engines. With this in mind we ensured that when the site went live we maintained this “credit” from Google and we made sure that there were no old broken links. The admin system was one of the most complicated that we had to develop. We used WordPress as a base admin and expanded on this to create a easy to update website. We used colour coding in the admin to allow our administrators to easily identify what section of the site an admin area belonged to. This was a very successful approach for a complex website CMS. Another aspect of this website that we were asked to advise on was the hosting system as there were major problems with the previous hosts downtime and email interruptions. We advised on getting a host that was located in the same country to help with geo-location. We also advised steering away from the commonly known hosting companies as these are too generic and often service tends to suffer. Our research pointed us to a hosting company that we hadn’t heard of before but whose reputation was excellent, with high speed servers and very fast support responses. This company is KnownHost and my experience with similarly positive and also worth recommending. 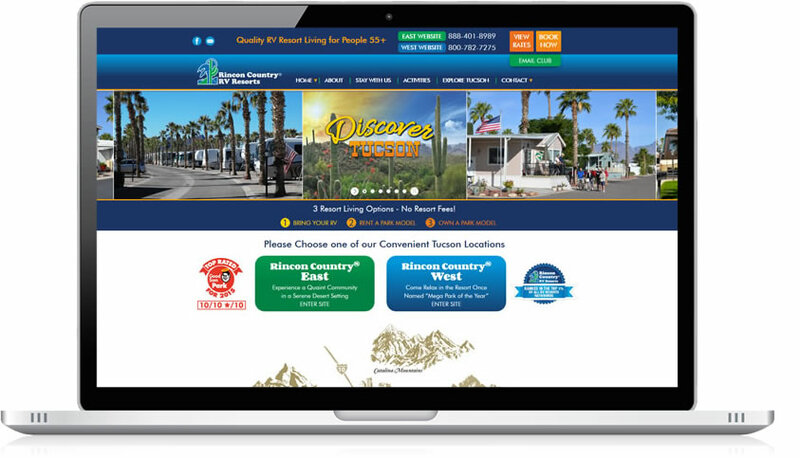 Since the launch of this website there have been no hosting or email problems, which is a major relief to Rincon Country.